In 2015 President Barack Obama hugs Kemba Smith during a greet with formerly incarcerated individuals who have received commutations. United States President Barack Obama spent some of his final hours in office making good on his promise to help imprisoned non-violent federal offenders a “Second Chance” by commuting the prison sentences of more than 500 federal prisoners. More than a dozen Tennesseans from across the state were among those covered by one of two commutation packages released last week, as Obama and his White House team were packing their bags after eight years of national leadership. The commutations issued as Obama exited do no equate to his waving a magic wand freeing those directly affected. As the notices that went to people from Tennessee who are serving time, none of commutations were for immediate release. Some range from a few more months to several years before the commutations take effect. Most also have conditions of some kind such as a felon’s agreement to enroll in various post-prison resettlement programs after release. Still, prison time was dramatically cut by Obama for scores of the thousands behind federal bars for non-violent illegal drug offenses, most of them convictions from possession of illegal drugs to intent to sell small quantities of illegal drugs. The final hour moves by Obama were hailed by prison sentence reform advocate who, at the same time, expressed disappointment he did not go farther in addressing the increasingly unpopular federal punishment laws. For years, Obama has been among a growing number of political, civic, religious and educational leaders to attack federal mandatory minimum sentences for first time-no-violent offenders as too harsh. Hopefully, prison sentencing reform advocates said, Obama’s outgoing gesture will serve as an incentive to his successor, President Trump, to aggressively address commutation of long sentences for people convicted of a crime for the first time with no violence involved. “This was a very significant use of his clemency powers,” said Mark Mauer, executive director of Washington-D.C.-based The Sentencing Project. Mauer has followed commutation and pardon actions by Presidents for years. Mauer, who’s small advocacy group has campaigned for sentencing reform since the 1980’s, was among those advocating a more sweeping move to reduce and commute prison time for people convicted of crimes that involved no violence. “I’m just glad he (Obama) decided to do this, to stand up,” said Debbie Campbell, communications outreach associate for Families Against Mandatory Minimums (FAMM), the Washington-based citizen’s advocacy group started when the new federal mandatory minimum prison laws were enacted by Congress in the late 1980’s. Kemba Smith Pradia, the Richmond, Va. College student whose 24 ½ year federal prison sentence with no time for parole drew widespread attention and protest again such strong punishment for a first-time, non-violent offender, had high praise for Obama and high hopes for the future. “I’m grateful President Obama granted so many commutations, but I know people who were denied and they deserved a second chance at life,” Smith Pradia said in an interview this week. “ President Obama was only trying to provided relief for individuals because he knew Congress wasn’t going to pass any legislation that would have corrected the so many wrongs,” she said. “So the fight continues to try to change legislation, but I hope that until then, someone can influence President Trump to continue granting commutations for deserving individuals, too,” said Smith Pradia who now lives and works in Norfolk, Va.
Smith Pradia, whose prison sentence was commuted in the final days of then-President Bill Clinton’s time in office, met with Obama last spring as a White House guest to explain the challenges facing former felons. The meeting, in which a handful of other former first-time,-non-violent felons attended, signaled the public Obama had a serious interest in building on the work on Clinton and former President W. Bush. 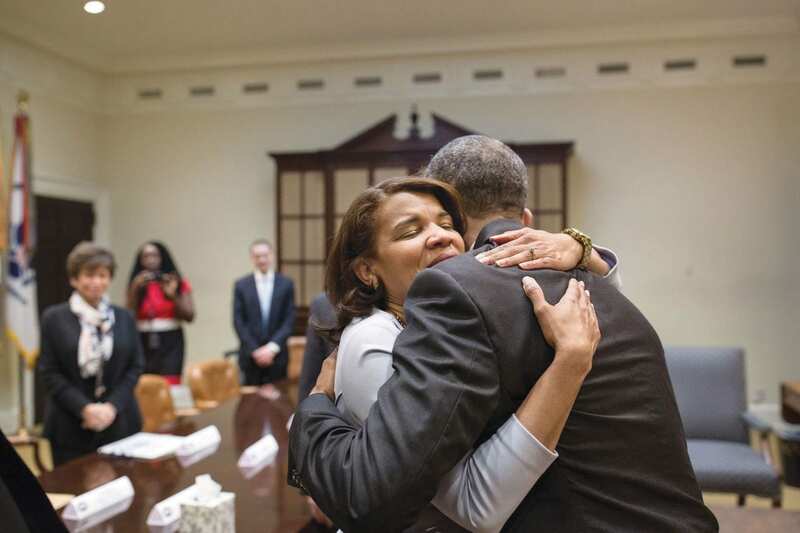 One of Obama’s last White House website pictures was of his embrace of Smith Pradia last spring as they first met and he heard her story in person. President Trump has made no public comments about addressing the fare of the thousands of federal prison inmates serving harsh sentences for their non-violent engagement in illegal drug crimes. In the last of the two commutation and pardon orders issued in his final days in office, President Obama include Tennesseans from Nashville, Memphis, Soddy Daisy, Knoxville, Chattanooga, Dunlap, Murfreesbor, Limestone, Winchester, and Altamont.